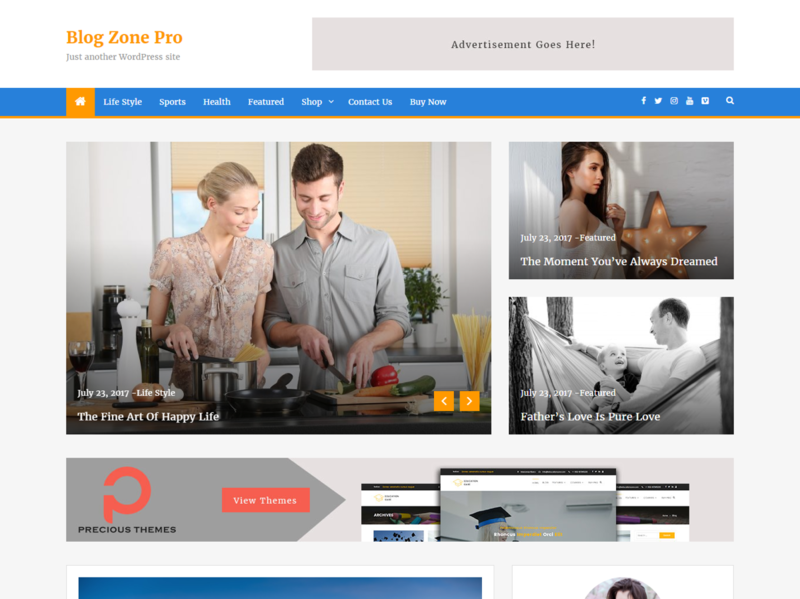 Blog Zone Pro is modern, clean, colorful and responsive blog theme. It can be used for blogs, informative, news, and other creative websites. It uses an amazing WordPress Customizer for theme options. Blog Zone Pro allows you to change slider posts from category or pages selection option with an appealing look. It is completely translation-ready, able to display your page in any language.